The very first smartphone that runs on Android Pie by Gionee is ready for launch. The Gionee S8s will also be the company’s first device with notch display designed, adding them to be among the list of smartphone brands with notch display, even while facing bankruptcy. For those who have been looking for a affordable Android device that also runs on the latest Android OS, this phone might be a great buy. This is the first Gionee smartphone after the bankruptcy saga, it’s powered by MediaTek’s Helio P22. 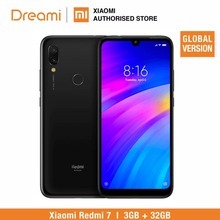 The light weight device packs a notch screen display of 5.86-inches with a resolution of 1520 × 720 pixel, which is manageable considering the moderate price range ($139) it will sell for. Externally, the volume and the power button are situated on the right-hand side. And on the left side, is situated the dual-SIM and a microSD slot. Are you the photo freak kind of person? Gionee S8s comes with dual rear cameras of 13MP and 5MP with 8MP selfie camera on the front. Now, you can snap photos all you want and you won’t even need to worry about memory. The device comes with 3GB RAM and an internal storage of 32GB, which is expandable. However, Gionee stinted this device with its battery capacity. The battery is as low as 3,000 mAh, at the time that other manufacturers are making mid-range smartphones with at least 4000mAh. Although, the device will come with a super-fast charging, with the possibility of getting a 100% full battery with just one hour charge.